Check out the Pow Music School for high quality video courses that you can use to learn at your own pace. These lessons feature multiple camera angles and animated graphics to make learning music easier than ever! Has the idea of taking a solo always made you feel nervous or overwhelmed? 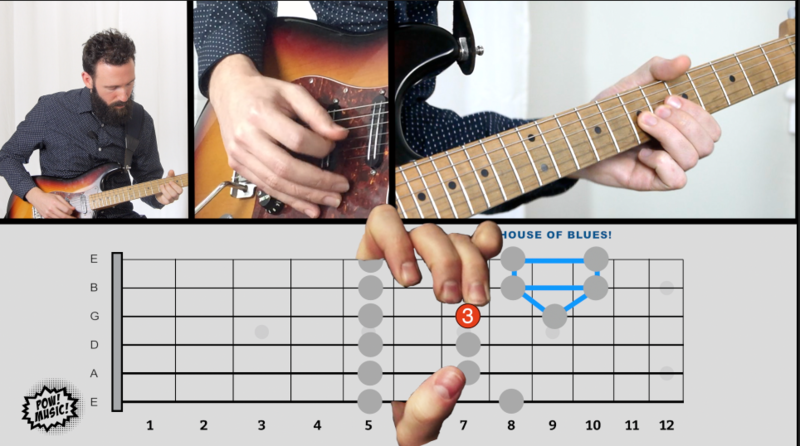 Do you try to improvise but end up playing those same few riffs over and over again? Or maybe you’re just starting out and want to create your own music from the get go? Whatever the case, Pow Music’s new course “Soloing for Complete Beginners” will make improv on the guitar feel as natural for you as talking! If you're ready for an exciting learning experience, no matter what your age, level, or location, reach out to Gary now and let's do this.